“All three branches are offering food related programs from February through May. We wanted to highlight the wonderful cuisine and ethnic food representative of our diverse Brookline and provide programs for all ages. The baked food cookbook group will be a monthly program at our Coolidge Corner Branch,” said the library’s Anne Reed. 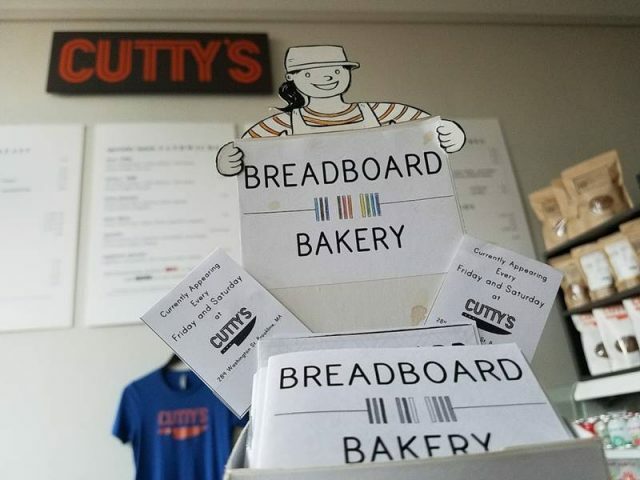 On February 6, founder and owner of Breadboard Bakery Daisy Chow kicks off the “Brookline Eats!” series. She will be bringing some samples of her baked treats and her tech-to-bakery story to an event for folks interested in good eats and good stories. Chow is responsible for those kolaches and wacky cake and cinnamon rolls you probably cannot get enough of at Cutty’s down the street in Brookline Village. The folks at the library say they got into the idea of focusing on food this spring part of their ongoing efforts to connect with the community in new ways. “Food is always popular and a great way to celebrate our community. Staff from the branches, our staff programming committee, and youth services were excited to plan the programs,” said Reed. What started as “several programs” blossomed into a series of 27 events, and collecting recipes for a cook book along the way, she said. For Reed in particular, who is also a member of the Brookline Women and Girls Thriving Health and Nutrition working group she said she saw this series as a way to compliment that mission and introduce members of the community to the library. Stay tuned for more food-related talks and treats: Also on the list of visitors? The owner of Brookline’s own Union Square Donuts.